This week marks the beginning of the NFL season, one of the richestsports spectacles in the world. While the NFL continues to be an exciting event, talking about it often devolves into topics like money, crime and legal issues. 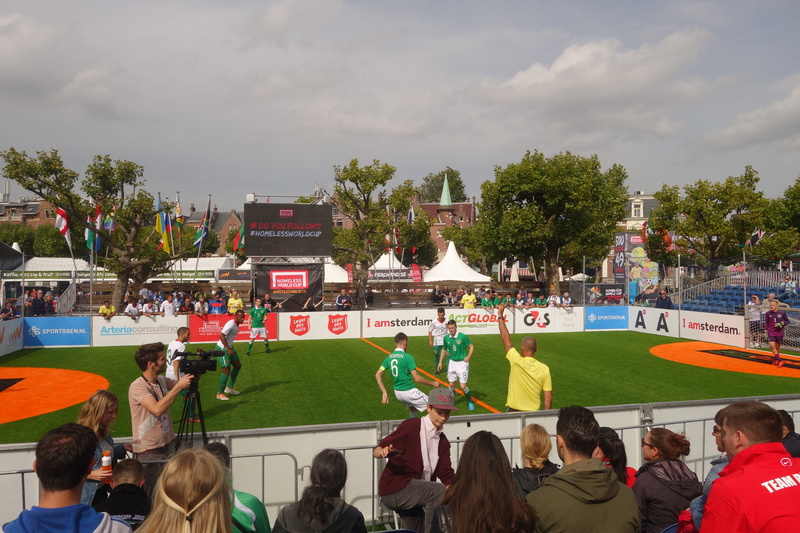 What a refreshing change visiting the Homeless World Cup today, a social movement event held in 2015 in Amsterdam. 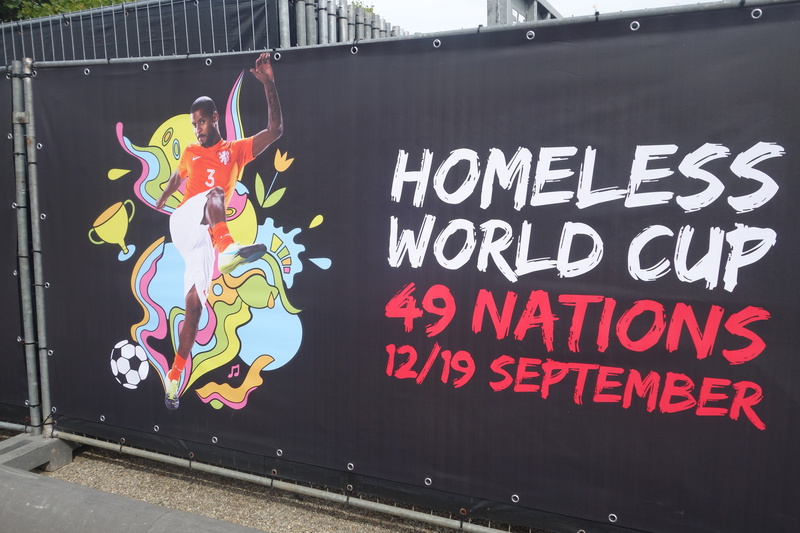 The players were either homeless at one point and/or in drug/alcohol treatment and/or asylum seekers in the last 2 years. Football helps them to get out of their isolation, build relationships with other teammates and start to feel a sense of empowerment. 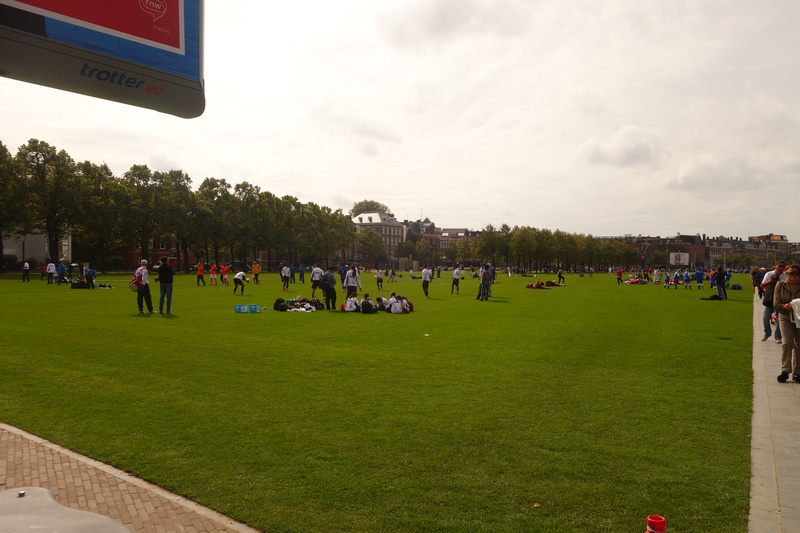 The event is held at Museumsplein, close to the major museum in Amsterdam. Above the warm-up area for the 49 teams. The event is free. You can support the cause by purchasing food/drinks or merchandise. The vibe is extremely positive. 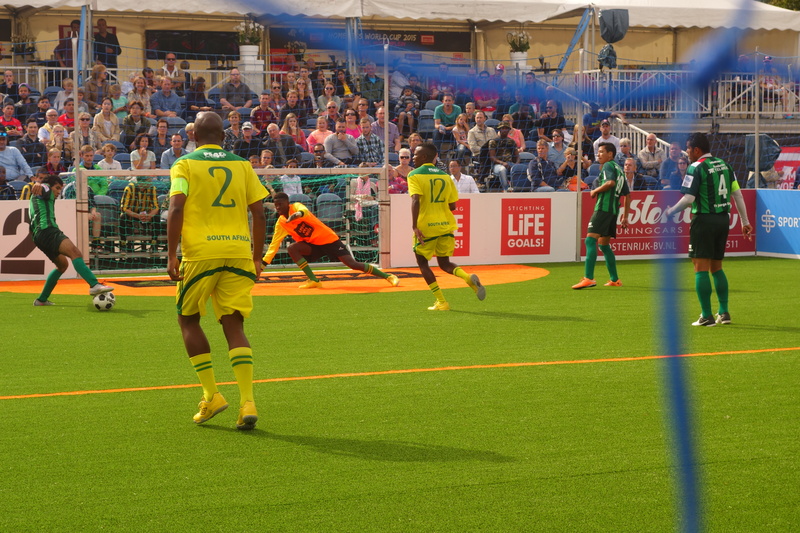 Even when the local team played, it was a friendly,welcoming atmosphere for the Russian opponents. 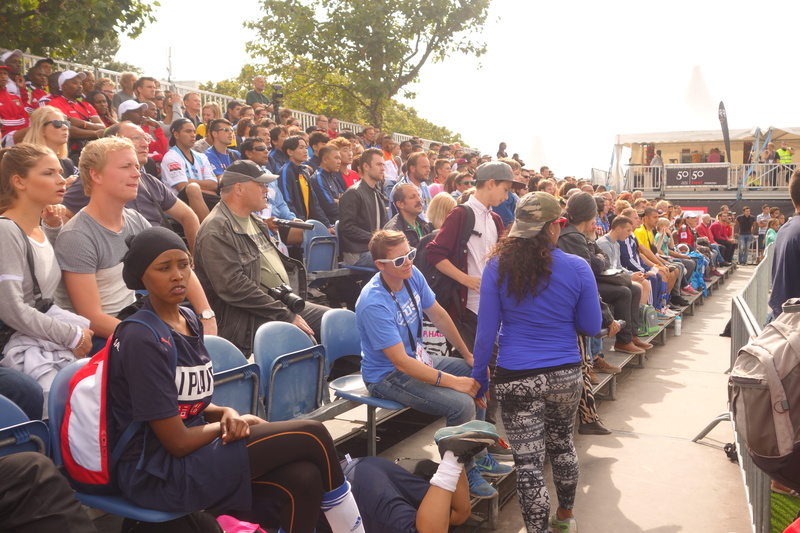 I arrived to the early games around noon to half-filled seats. By the time I left, the majority of seats were packed. 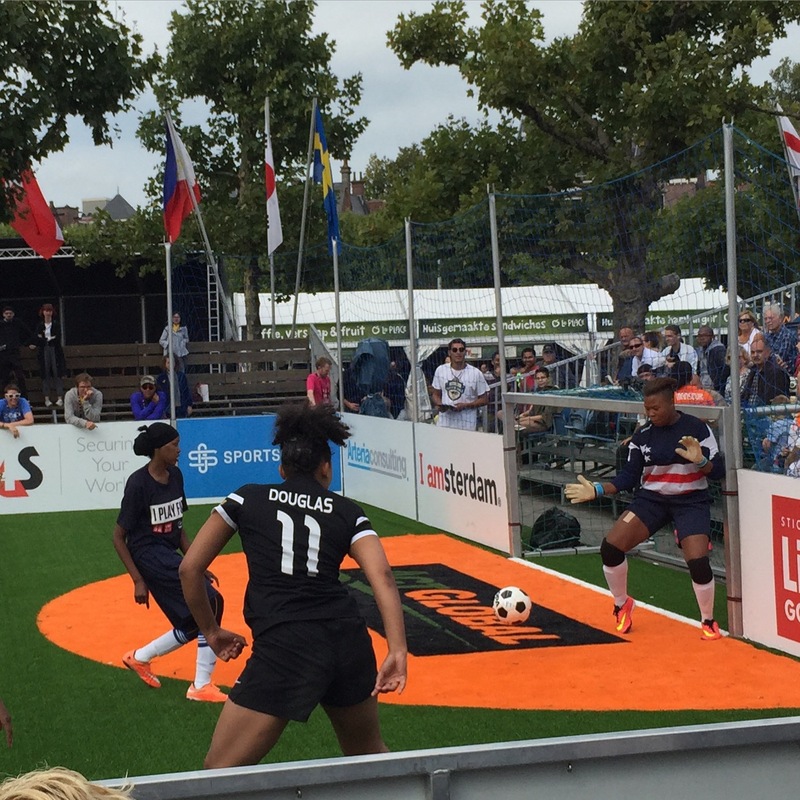 The US women team was outscored early by the English team but won convincingly in the end. 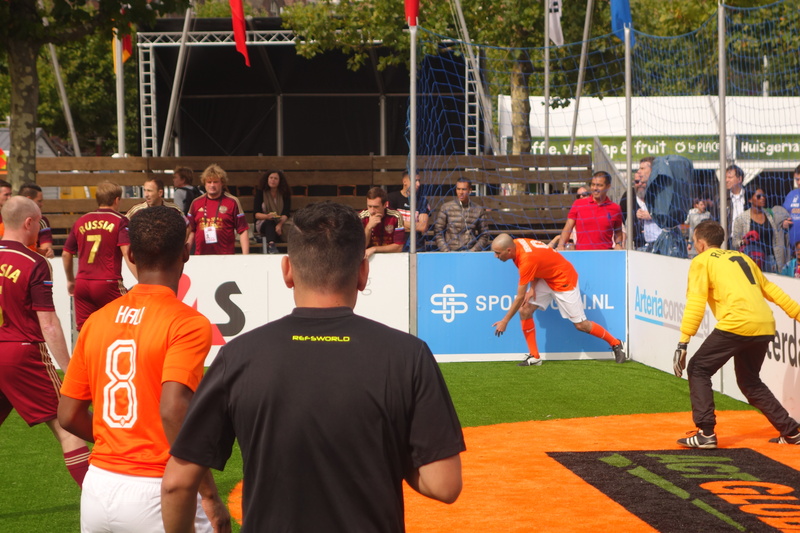 Best match of the day was a hard-fought battle between Russia and the Netherlands. Oranje won. Some really talented players in that team. The Irish being dominated by Portugal. My favorite team to watch was South Africa. Their pre-game routine consisted of brilliant singing routines and rhythmic dances. If you are in Amsterdam in the next few weeks, make sure to stop by. Whenever I have a chance, I will pay a visit to be inspired.